The storage of fuels and oils is complicated business as any accidents or spillages can be devastating for the surrounding environment and wildlife. Therefore, it is important that the right precautions are taken when handling and storing these liquids to ensure they remain safe and sound at all times! The most reliable and easy way to do this is by investing in a bunded steel tank. Why choose a Bunded Steel Tank? A tank that also has a bund protects your investment against adverse weather conditions and much more besides. Steel bunded tanks are created with the best materials for the jobs, specifically designed to bear the harshest of elements that the weather throws at them. 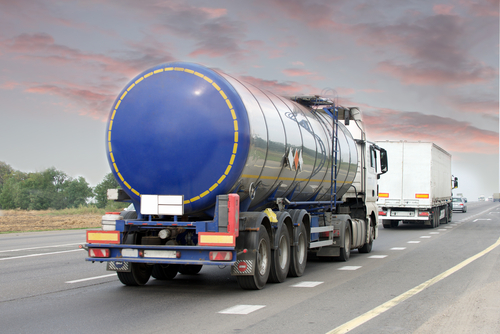 Their resistance to corrosion from external sources extends the lifespan of the entire system and keeps the fuel inside the container safe and protected. Unlike a lot of its plastic counterparts, bunded steel is better able to cope with exposure to sunlight, making it the ideal long-term solution for your needs. Many fuels are contained for industrial and commercial purposes. These carry a high monetary value where companies want to ensure that they are not stolen. Steel bunded tank systems are crafted from materials that are strong and durable, making it much harder for thieves to penetrate the outer layer, let alone the inner tank. Since it is more important than ever to be careful about the environment, everything from household appliances to cars are designed in accordance with the safety of the environment. A bunded tank comes with a double layer; it is a tank inside a tank. This means that a bunded steel tank has two equally strong protective layers. Also, in case there is a leak, the second layer does not let the hazardous acid or fuel inside to make its way and wreak carnage outside. Instead, the outer layer buys enough time for the situation to be handled. Steel bunded tanks, unlike their plastic counterparts, have the capabilities to create a vast storage system, as per your needs. Tuffa Steel Tanks can store up to 200,000 litres of fluid. The Control of Pollution regulation which was drawn up in 2001 stipulates that all industrial and commercial tanks need to have a secondary containment to ensure that in case of leaks, the fuel or any other chemical inside does not make it to the outside, especially if there is a threat of it leaking into a large water body. The bunded tank is an essential tool that complies with all government requirements regarding this regulation. For more information, please do not hesitate to contact our team today on 01889 567700.